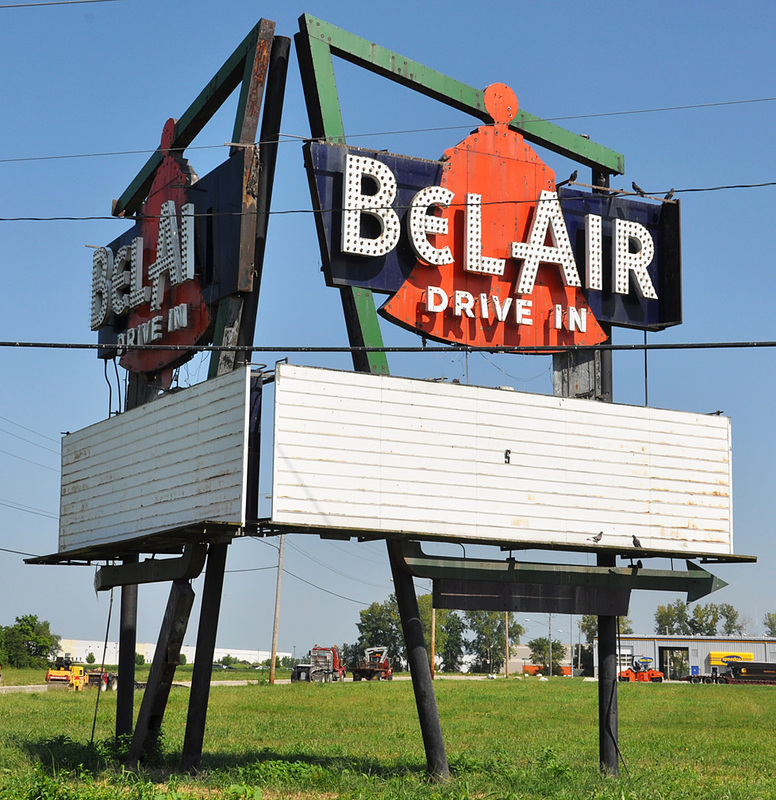 The Bel-Air Drive-in in Granite City opened in 1954 and closed in 1987. All that remained was this marquee. 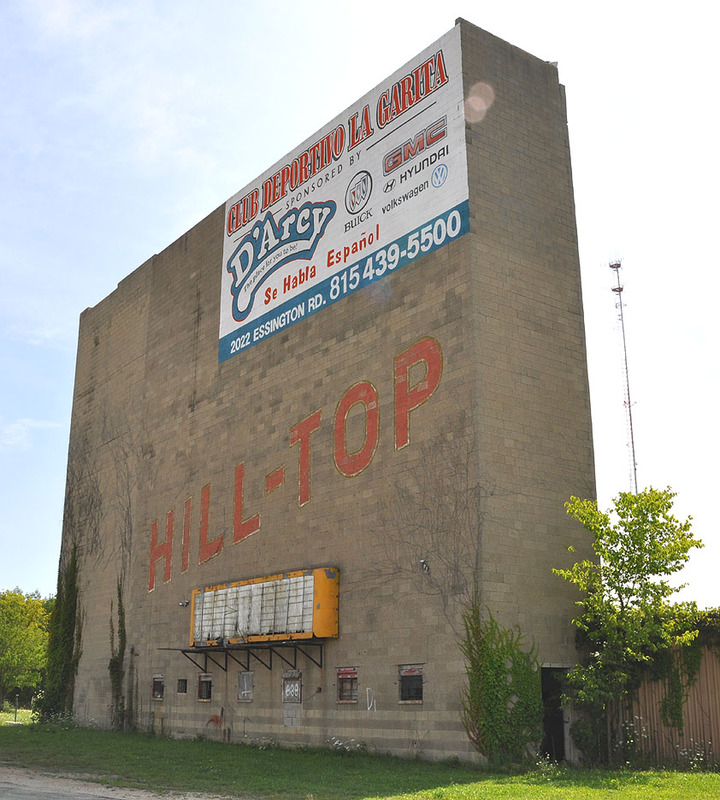 In 2018, the property was about to be developed. 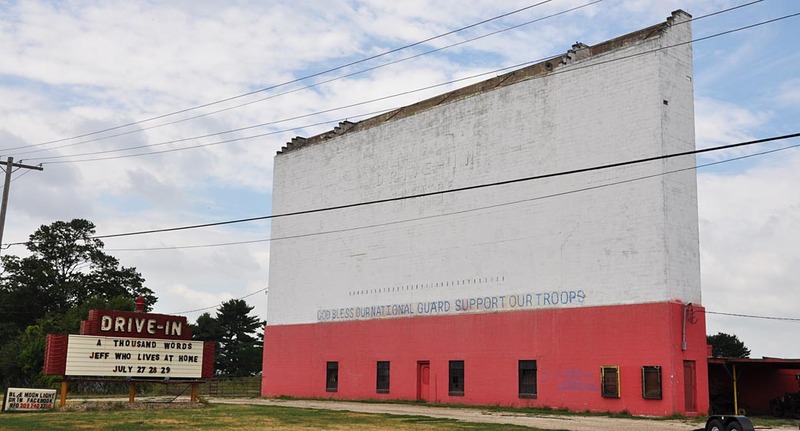 The sign was sold to a collector and removed. For more, see this website. 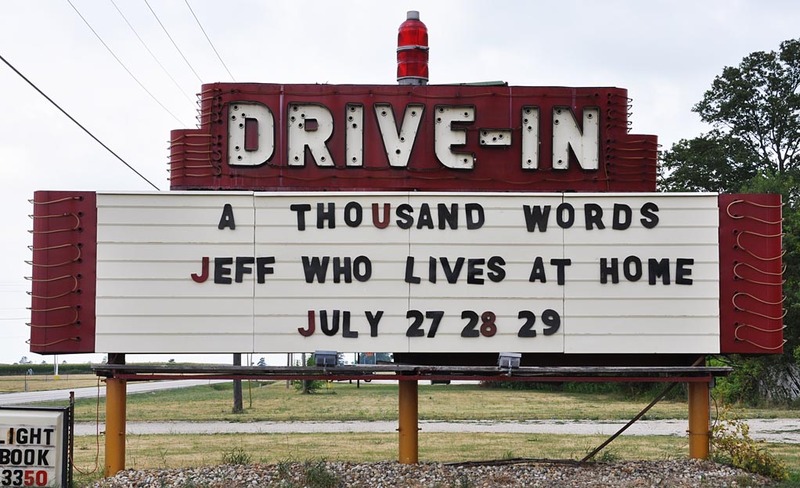 The Bel-Air Drive-in in Cicero opened in 1949 as a single screen. This back-to-back screen tower was built later. 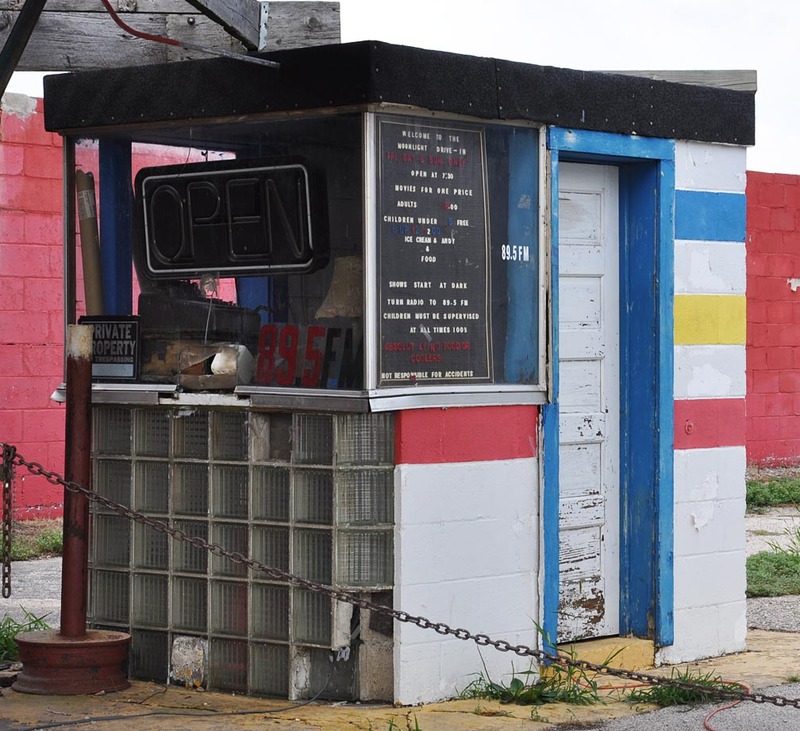 This drive-in closed in 1999. This photo is from 2006. 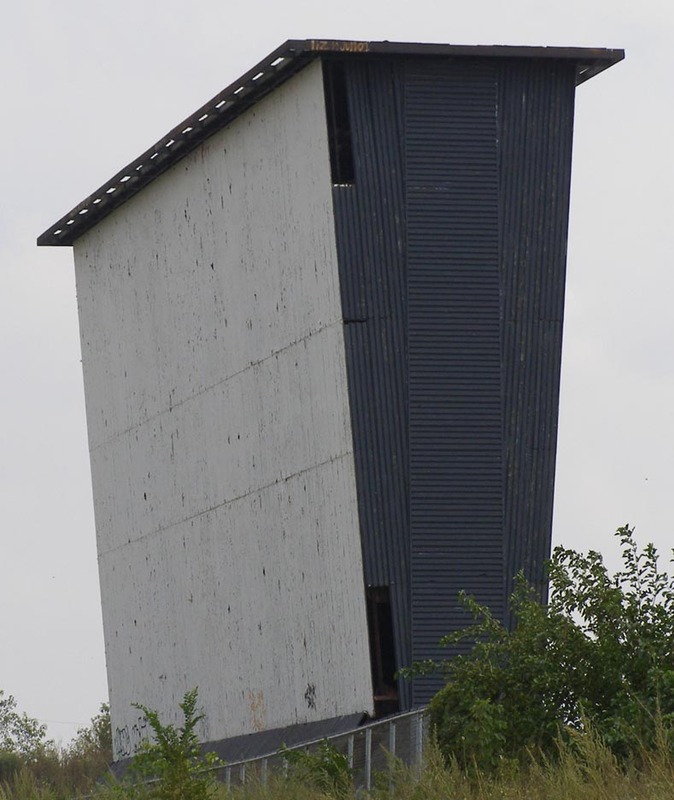 The screen tower was demolished in 2007. For more, see these websites: 1 and 2. 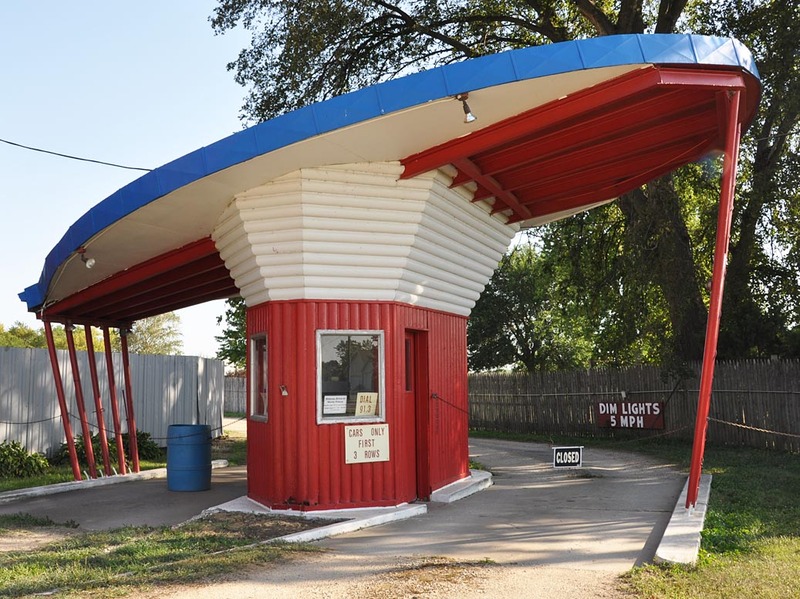 The French Village Drive-in was built in 1942 in East St. Louis, IL. 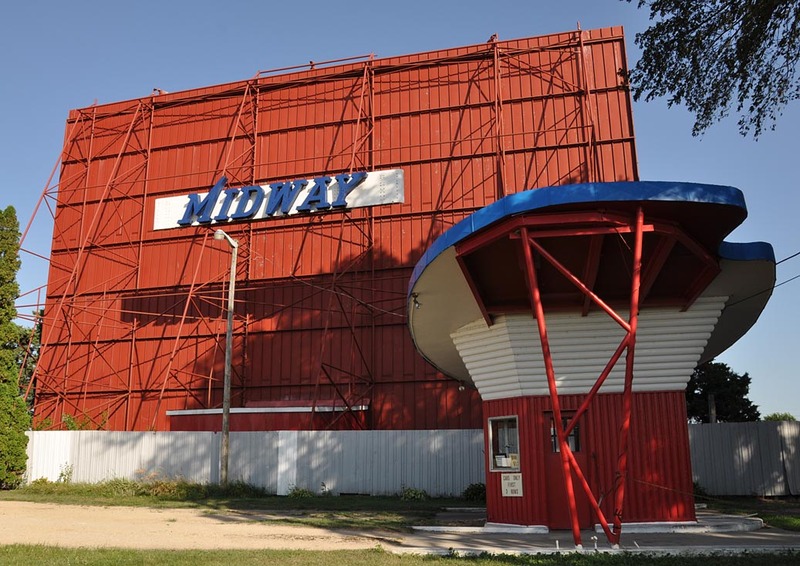 The drive-in closed around 1989 and was demolished in 2005. 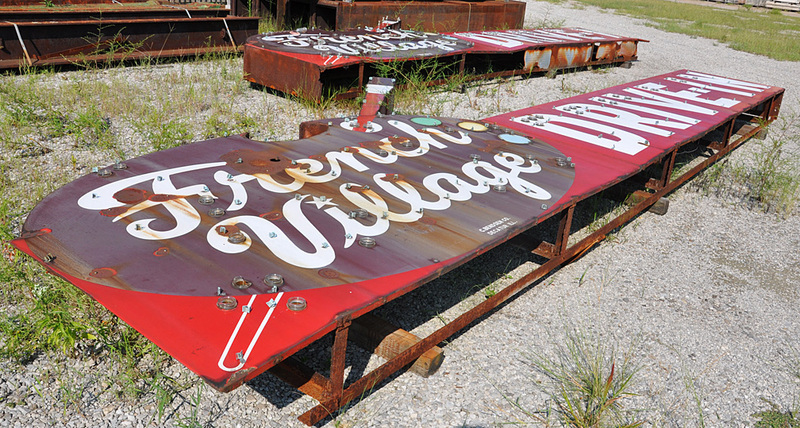 The marquee sign was saved and is stored at the St. Louis Building Arts Foundation Conservatory in Sauget. For more, see these websites: 1, 2, and 3. 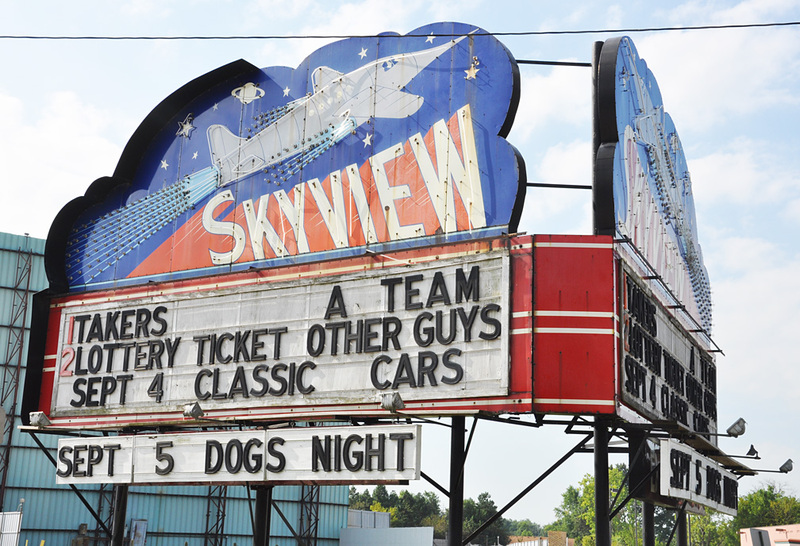 The Skyview Drive-in opened in 1949. 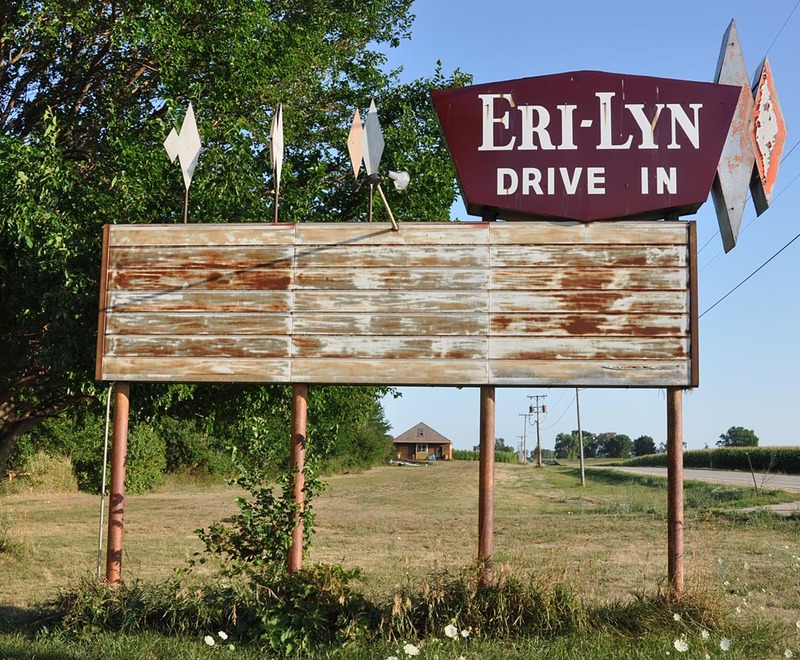 This sign was built in 1950 by Kirn Signs. 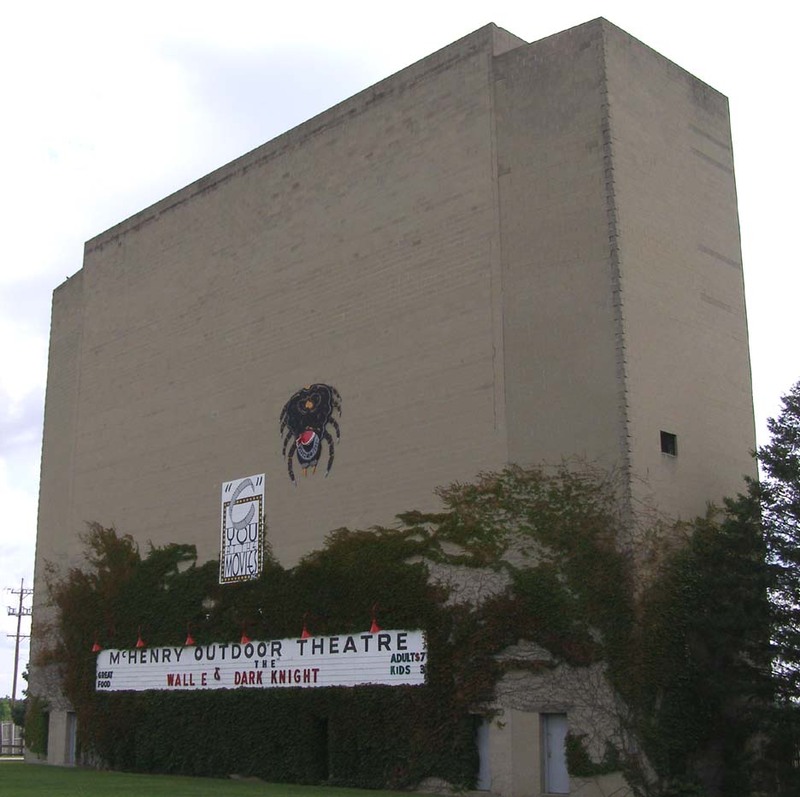 The Skyview's original screen tower was painted pink and emblazoned with the drive-in's name and nine stars, all outlined with neon. In 1955, a tornado tore down the screen and marquee. Both were rebuilt and this sign was replicated to look like the original. In 1981, the screen was again destroyed by a windstorm and rebuilt. A second screen was also added at that time.